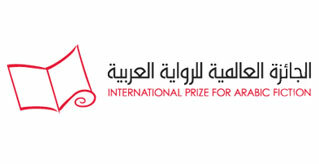 In the past English publication has been secured for most of the Prize winners: Bahaa Taher (2008), Youssef Ziedan (2009), Abdo Khal (2010) joint winners Mohammed Achaari and Raja Alem (2011), Saud Alsanousi (2013), Ahmed Saadawi (2014), Rabai al-Madhoun (2016). Taher’s Sunset Oasis was translated into English by Sceptre (an imprint of Hodder & Stoughton) in 2009 and has gone on to be translated into 8 languages worldwide. Ziedan’s Azazeel was published in the UK by Atlantic Books in April 2012, and Abdo Khal and Mohammed Achaari’s books were published in 2012 by the Bloomsbury Qatar Foundation Publishing. Saud Alsanousi's The Bamboo Stalk was published by Bloomsbury Qatar Foundation in April 2015 and Raja Alem’s The Doves’ Necklace was published by The Overlook Press in America and Duckworth Books in June 2016. Ahmed Saadawi's Frankenstein in Baghdad will be published in 2018 by Penguin Books in the US and by Oneworld in the UK. All of the winning titles, and a significant number of shortlisted and longlisted books have been translated internationally in South America, Europe and Asia. Click here to download a list of IPAF winning, shortlisted and longlisted books available in translation. This list will be updated four times a year with new translations.